Do you usually work in the kitchen or slaughterhouse and run your knife across your arm? So, this Five finger stainless steel ring mesh gloves look like cut resistant and handle that problems. It will fit to both right and left hands. 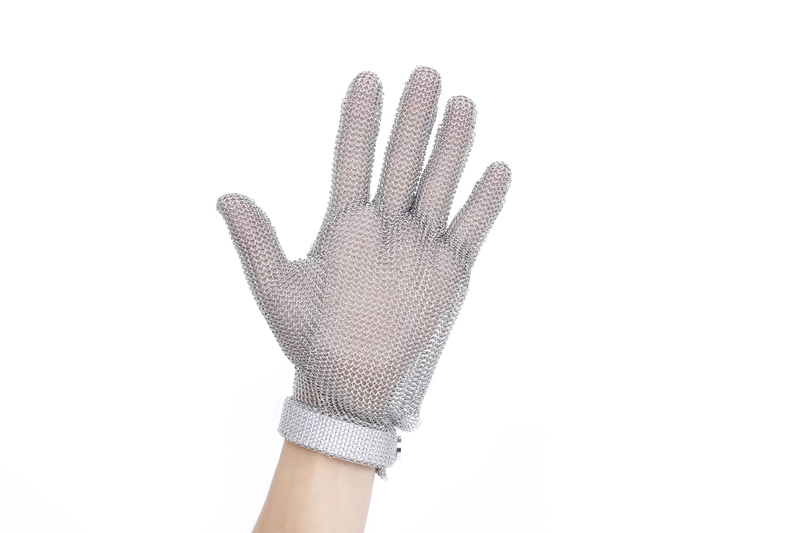 These Five finger stainless steel ring mesh gloves are large enough and will work perfectly. Also, they don't break down and it protect your hands. 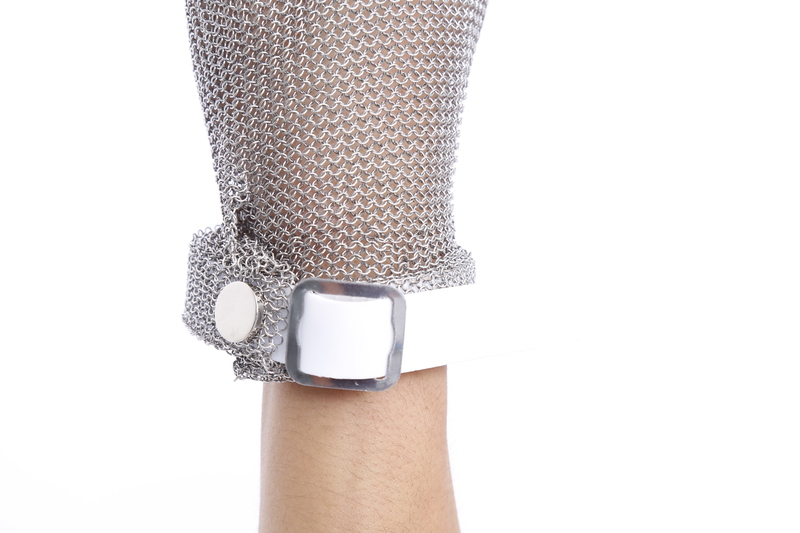 The Five finger stainless steel ring mesh gloves have an adjustable strap for your wrist. Therefore, these gloves are very comfortable and highly recommend. Our Stainless Steel Mesh Ring Mesh Gloves provide maximum protection against cut injuries while chopping and de-boning. This stainless steel cut-resistant glove is constructed of lightweight stainless steel mesh that offers excellent dexterity and is easy to clean. Premium features include an antimicrobial wrist strap and a secure snap closure. For ring mesh cut resistant gloves, normally 1 piece glove will accompany with 1 piece tighter.